Not to go all “Game of Thrones” on you all, but Winter is Coming….. but before that we have Halloween to celebrate, yay! This is the first year that Buddy will be old enough to participate in Halloween Celebrations and activities, so I intend to make the most of it. With that in mind, we’ve been searching for some awesome Toddler Friendly activities that he can get involved with, so that we can start to introduce the idea of Halloween to him. I can’t wait to get started. We love this active Ghost Bowling Game from No Time for Flashcards What a fun way to keep toddlers active! These Silly Ghosts from My Nearest and Dearest are a fun and simple way to introduce Toddlers to Halloween. These Spiral Ghosts from Hands On As We Grow are a super fun and spooky way to practice fine motor skills. We love these Textured Ghosts from No Time For Flash Cards. This would be perfect for kiddies who love a sensory art session. 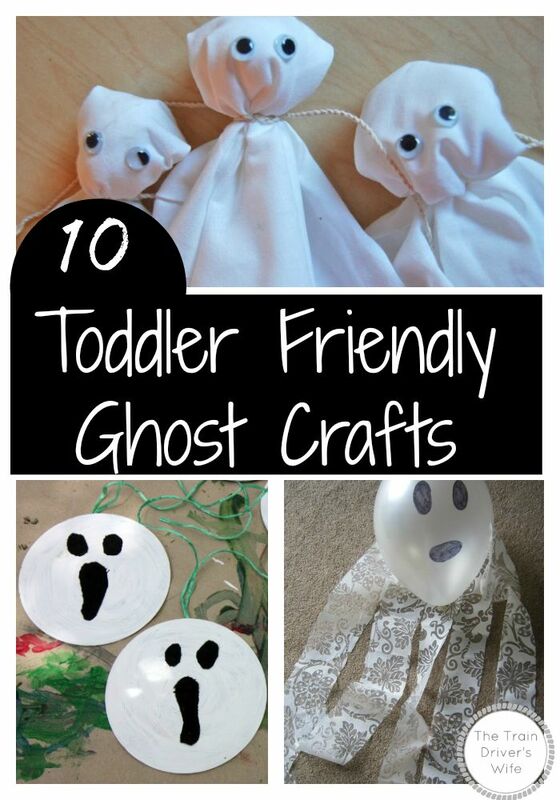 These Footprint Ghosts from Toddler Approved are just adorable! You could make an entire family of Ghosties. If you have some old CD’s why not try this lovely CD Ghost Craft from Danya Banya. They would look amazing hanging in trees for Halloween. Why not try a Ghost Busting Balloon Game like Adventures of Adam. A super fun, open ended activity. Have you tried Puffy Paint yet? Making a Puffy Paint Ghost is the perfect introduction! These friendly little Fabric Ghosties from Tinkerlab are just adorable. They’re so cute, you could leave them out all year round! I hope you have enjoyed this fun little round up and that you now have some awesome Halloween inspiration for your toddler! Don’t forget to check back soon for a round up of Toddler Friendly Spider Crafts. Very cute! I love these kinds of quick and easy crafts – and I’m way older than a toddler! lol! Haha! Simple is most often the best way for us. I’m so glad you enjoyed the ideas.